S.A.F.E Structure Designs — a company that designs, engineers, and manufactures custom aircraft and marine maintenance stands, fall protection platforms, and hangar equipment — announced that it has been awarded the contract to outfit the first AW169 to operate in the United States, which was transported to New Jersey for outfitting by Air Concepts International for Next Era Energy. 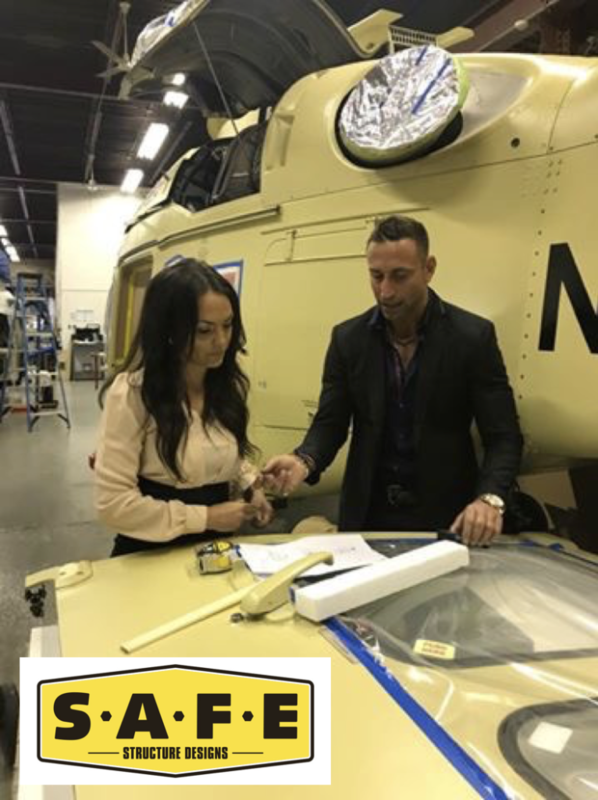 Before beginning the design process for the AW169, S.A.F.E Structure’s design team collected precise measurements of the aircraft and met with Leonardo Helicopters to discuss recommended maintenance procedures as well as critical areas on the aircraft to be considered when designing custom maintenance platforms for the AW169. In addition, feedback from the mechanics also aided S.A.F.E. in designing ergonomically sound platforms that would allow safe access around the helicopter, decrease unwanted accidents and falls, and decrease damage to the helicopter’s exterior surface. Extreme attention to detail and integration of Leonardo Helicopter’s added requests and alterations gave S.A.F.E. the edge, and it was then awarded the contract to outfit the AW169. Production has begun and will be completed by February 2018.